SYNTHETIC SNOW festival is the event that has become an annual compulsory tradition. For quite some time the event is a lot more than just a concert of the leading foreign headliners and new promising artists of the dark scene. And first of all it is a true festive occasion for all fans of synth-pop, electronic industrial and related genres from Russia and short- and long-distant countries, a touching reunion of old friends who were once united by the music. An always one can get tons of positive vibrations and only the most inspirational electronic sound and synthesis of true emotions! 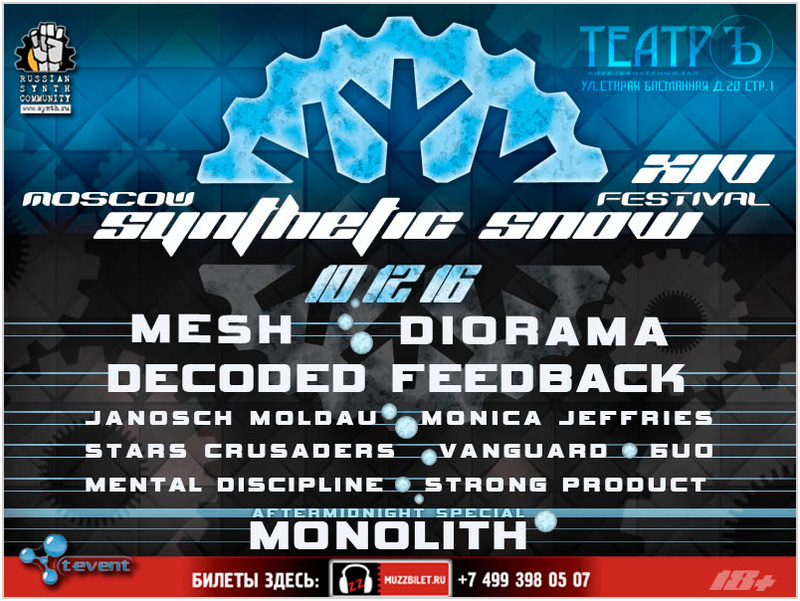 It’s just one evening and one night of the year when the city will be covered again with SYNTHETIC SNOW! General admission: from 2500 RUB.